Migos have explored fur-trapping and symphony cultures in past videos for their C U L T U R E LP, and the latest clip for "What the Price" finds them fully entrenched in the world of outlaw bikers. 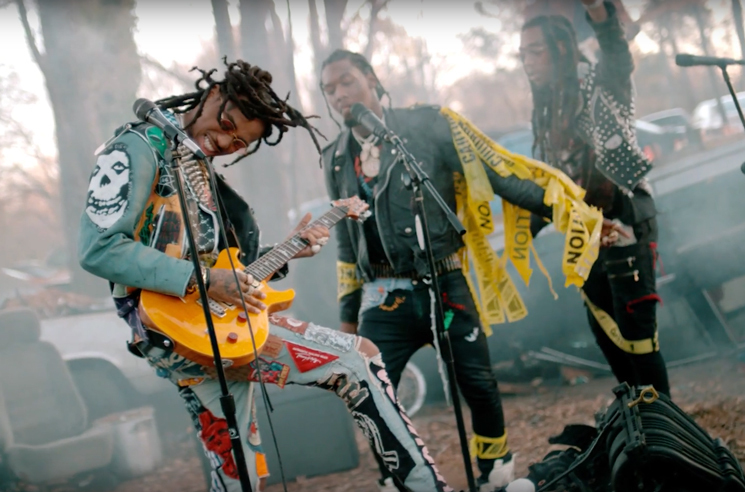 The clip finds the Atlanta trio dressed up in some intimidating-looking outfits, cutting between scenes at a biker bar and a forest scene in which Quavo shreds a brilliant yellow PRS guitar. When some dealings at the bar go awry, all three take matters into their own hands in some slo-mo action. Migos's C U L T U R E is out now through Quality Control Music/300 Entertainment. Watch the video for "What the Price" in the player below.